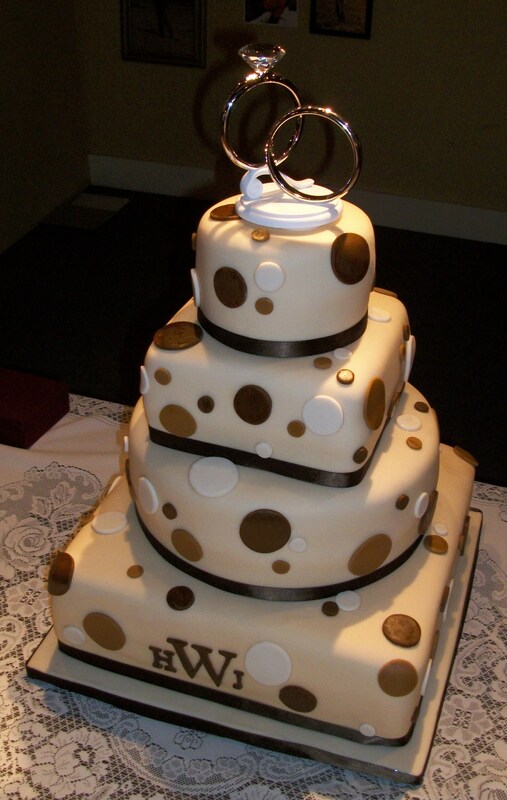 This fondant 3 tier polka dot wedding cake was created for a wedding that was at the Pioneer Playhouse in Danville, KY. The bride choose to alternate the shapes of the cakes. The wedding colors were ivory and brown. 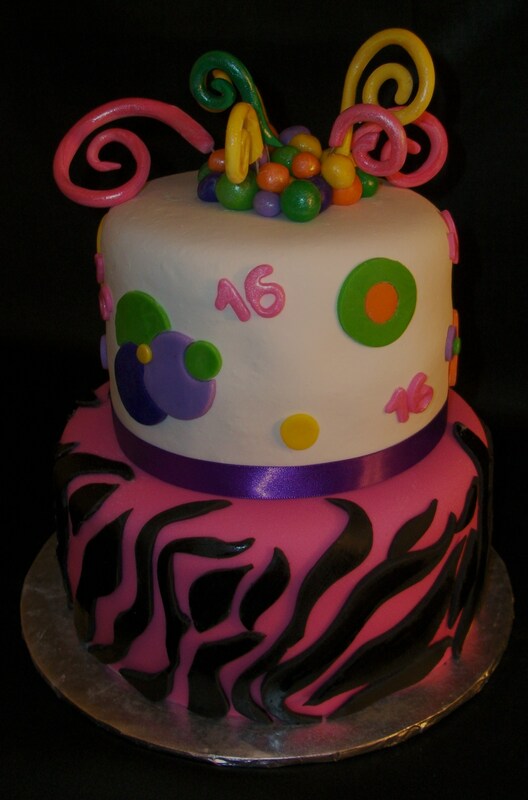 This cute whimsical birthday cake was created for a sweet 16 birthday. 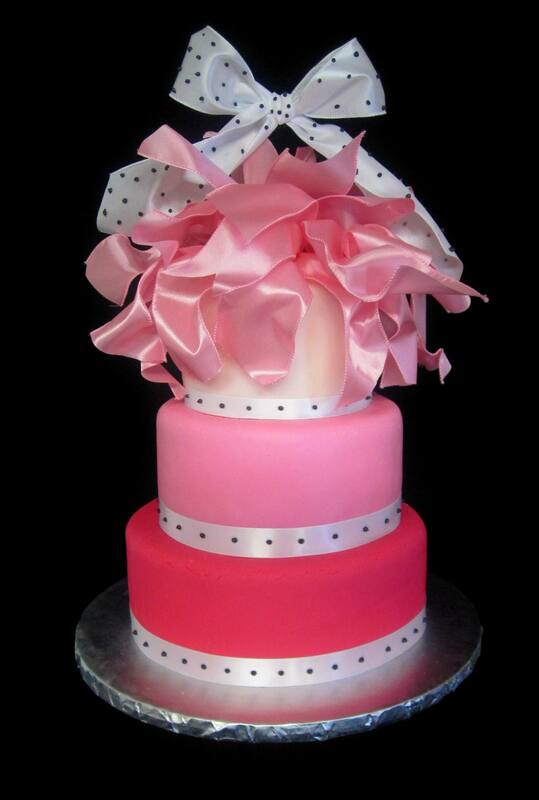 The bottom tier of the cake is covered in a hot pink marshmallow fondant and black zebra stripes. 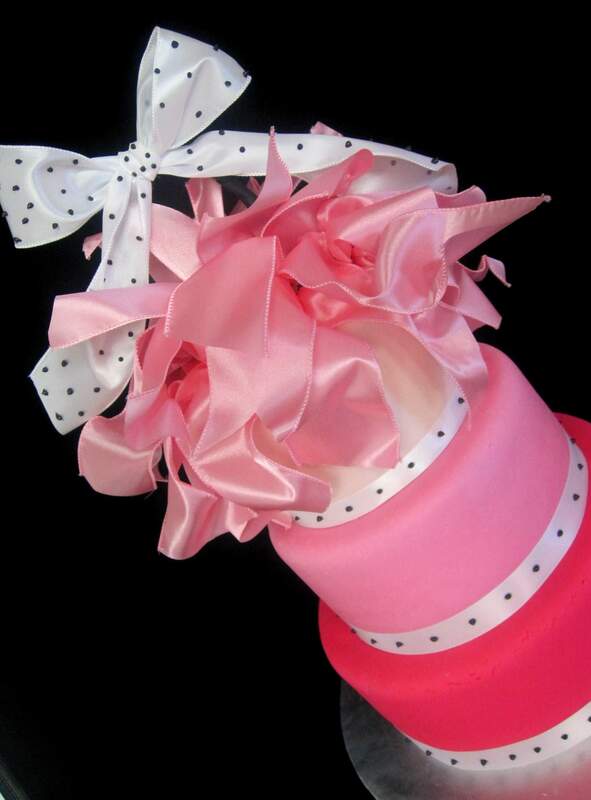 The top tier is covered in a white marshmallow fondant and decorated in multi-colored polka dots. 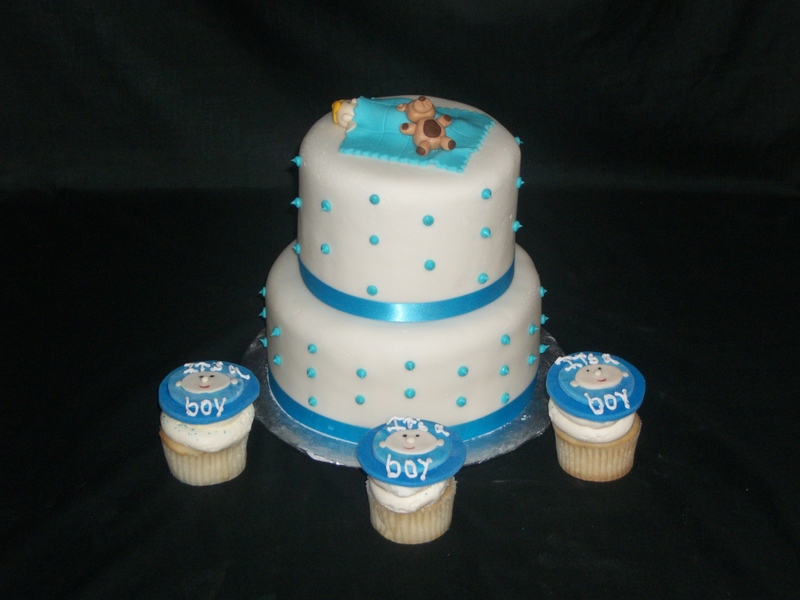 The top swirls were created with gum paste. 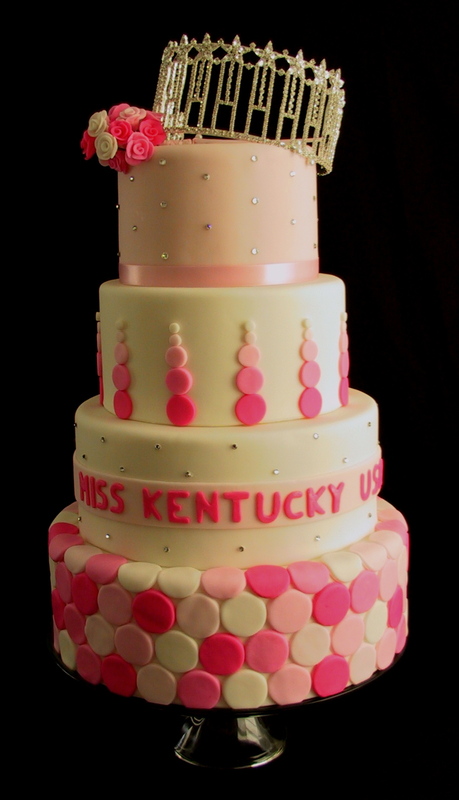 The Twisted Sifter Cake Shoppe was very fortunate to be chosen to create the cakes for the Miss Kentucky USA and the Miss Teen Kentucky USA pagents held at Centre College in Danville, KY. For the Miss Kentucky USA we wanted to create a cake that was both feminine, but modern at the same time. 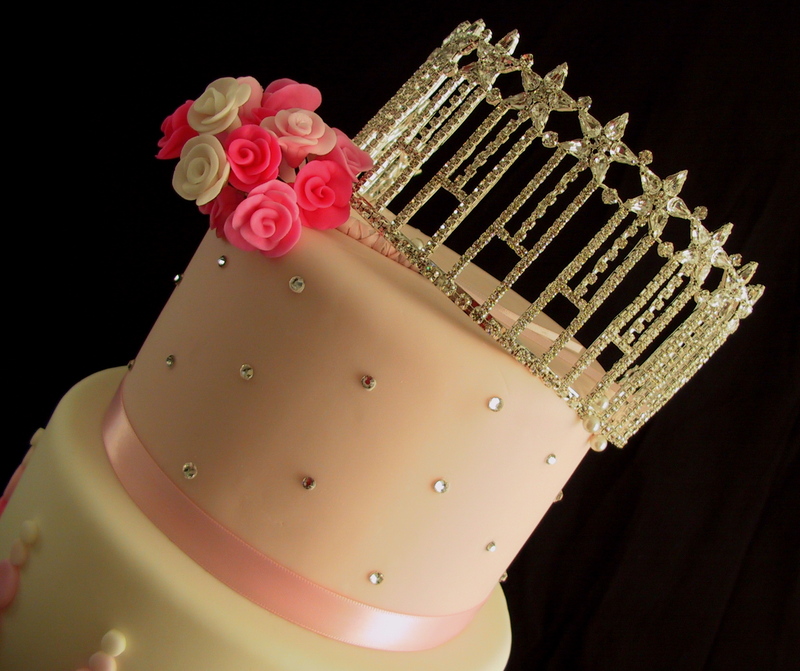 We covered the 4 tier cake in a pink marshmallow fondant and decorated it with swarovsky crystals, pink satin ribbon and a replica of the actual Miss Kentucky USA crown. 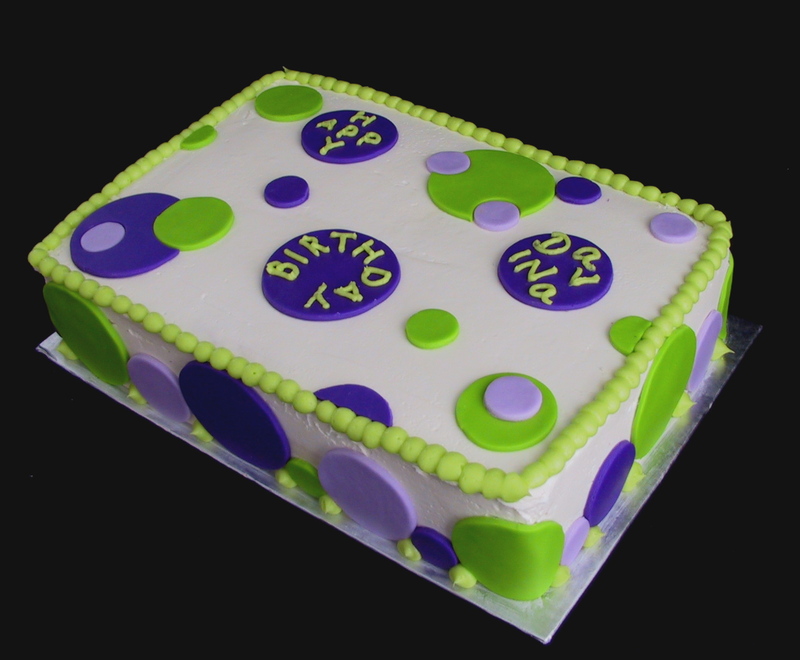 This colorful birthday cake was white cake with a fresh lemon filling and a vanilla buttercream. 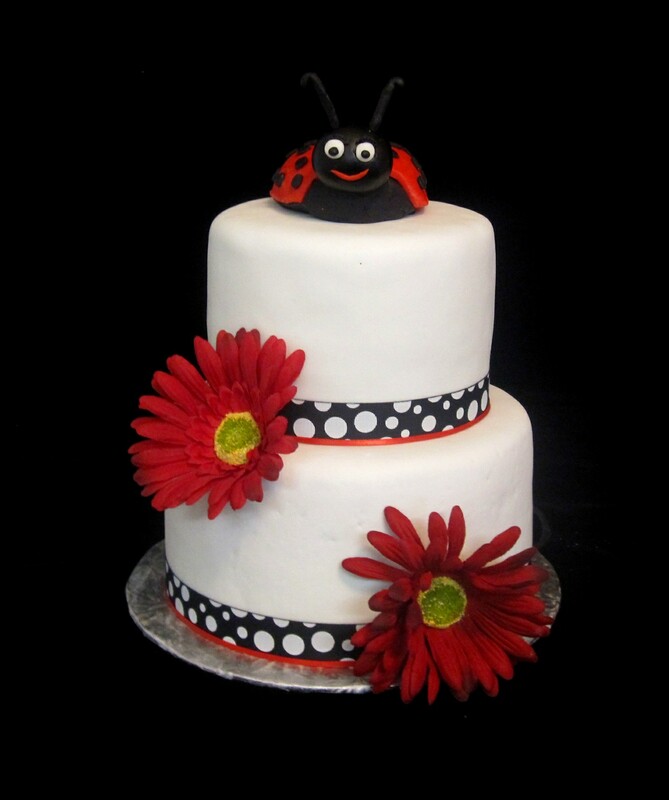 The polka dots were made from marshmallow fondant.